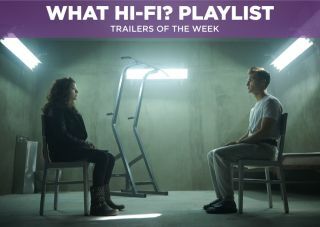 Trailers of the Week: Orphan Black, Crimson Peak and Bloodborne | What Hi-Fi? Although the trailer for Crimson Peak came out last week, it came too late for us to spotlight it. Thomas Hardy's Far From the Madding Crowd gets another adaptation. Set in Victorian England, Bathsheba (Carey Mulligan) is the subject of three different suitors but which one will she choose? The cast and director make this one worth keeping an out for. Calling all clones! Despite there being no UK release date for the third series, America/Canada will get Orphan Black on the 18th of April. We hope the UK release is not too long after. This teaser is less a trailer and more a scene from the premiere and after the last series' finale we're getting quite impatient. Where's Helena?! Björk's latest album Vulnicura is set for release next month but, in the meantime, the Museum of Modern Arts (MoMA) will have an exhibit spanning the length of the Icelandic singer's career. And this video is one part of it. The latest PS4 exclusive from the From Software company - makers of Demon Souls and Dark Souls – is one that we're highly anticipating.